Custom NC post-processors created by ICAM’s senior NC manufacturing experts are developed to optimize the performance of CNC machines and to allow users to exploit the advanced functions of their respective machine tools. ICAM’s custom NC post-processors are created using CAM-POST® therefore, these posts inherently interface with all major CAD / CAM / PLM systems, controllers and CNC machines and support various advanced multi-axes machining applications. All ICAM post-processors can also be configured to support multiple CAM systems. ICAM post-processors are versatile programs that may be customized to reflect unique shop floor practices and manufacturing methodologies; thereby, allowing operators to standardize the programming their machines. ICAM’s custom NC post-processors can also emulate High Speed Machining functions without the need for an HSM control. Furthermore, NURBS fitting, Arc fitting and LINTOL rotary-turn-around are also supported. The result is a dramatic reduction in machining time and improved part quality. 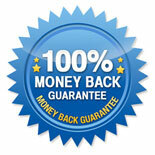 All ICAM NC post-processors are guaranteed and backed by 90 days of technical support and maintenance. ICAM Technologies Corporation has been developing NC post-processing technology for over 35 years and its NC post-processors have been implemented by manufacturers in major industries around the world.